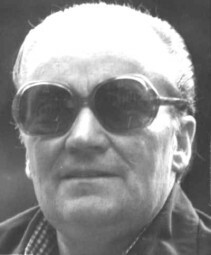 Gefreiter Kurt Richard Zoske was born in Neuhof bei Krone an der Brahe in Germany. It now belongs to Poland. He was one of 9 children and they all had to work the land to help out. The family later went to the western part of Germany and some even went to the USA. 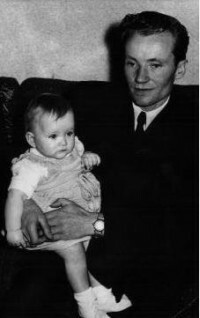 It wasn't long when he got drafted to join the German Army at 16. 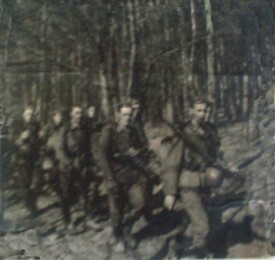 My father was very young when he joined up with the 11. Panzer-Division. He was still 17 at the time. He proudy displayed the " Gespenst " on his wall in his room. He often told us stories how the panzers where the best. We used to draw the ghost symbol as children and we pretended to be one of the great soldiers when we played in the nearby forest. One of the things he often spoke of was how well he and his " Kameraden " were treated by the Americans. He never said they were prisoners, he said it was an aggreement with the Americans. They got to keep their uniforms and ranks until they all were released. His hero still today is Generalleutnant Wend von Wietersheim, who surrendered to the Americans. My father said he owes his life to this man. Another thing he always brought up was the horses, the Libizaners. He said many of these fine horses were saved and in his eyes it was the 11. Panzer-Division who had much to do with it along with the Americans. My father went to the last rendevouz in K�tzting some years back. It is something he treasures. He even has a video of the event that was taken there. Below you see my father at a mature age and also when he marched with the 11. Panzer-Division. My father was very organized and saved almost everything. 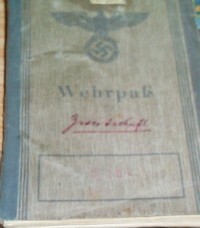 I retrieved his Wehrpass in where the entry of the 11.Panzer-Division is noted.